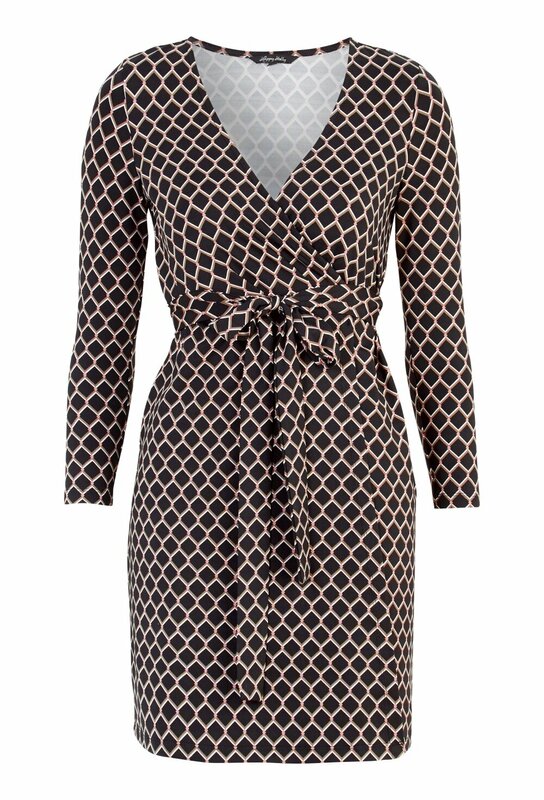 Wrap dress in creaseless tricot fabric from HAPPY HOLLY. The dress has an elegant, stylish pattern and ties at the waist. Back length from shoulder Short 86 cm, Long 96 cm, bust 88 cm in size 36/38.